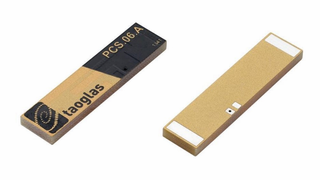 The PCS.07.A is a low profile SMT cellular antenna designed for direct SMT mount on the device PCB. It provides highest efficiency in very small factor 35*7*3mm. It is more resistant to detuning compared to other antenna integrations. If tuning is required it can be tuned for the device environment, while there is no need for new tooling. Its rectangular shape and very small size makes it very easy to integrate – can be mounted directly on the edge of the PCB board. The PCS.07 antenna is suitable for lower cost cellular applications and is especially suitable for telematics and automotive sector. If higher efficiency or improved radiated spurious emissions are required, especially on smaller ground-planes, please use our PA series antennas, PA.25 or PA.710.